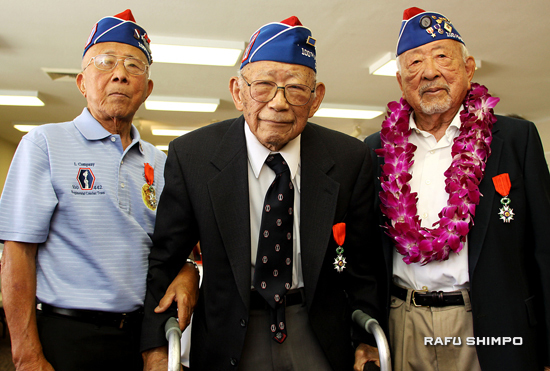 From left, Samiru Ikari, Junwo “Jimmy” Yamashita and Masayoshi Tsuida were awarded the French Legion of Honor Medal on Oct. 8 at Trinity Episcopal Church in Orange. 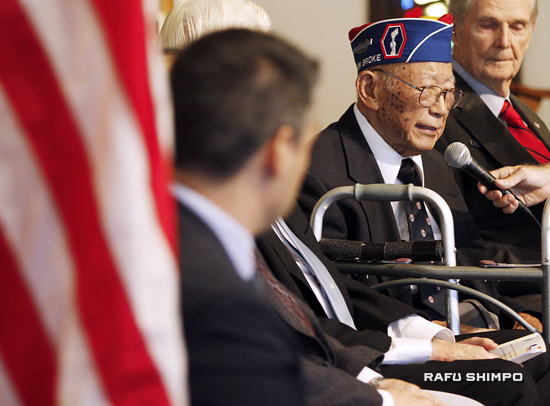 The three men served in the famed 442nd Regimental Combat Team during World War II. Ikari joined Company L in November 1944 during heavy fighting in the Vosges Mountains area. He later served in Italy. 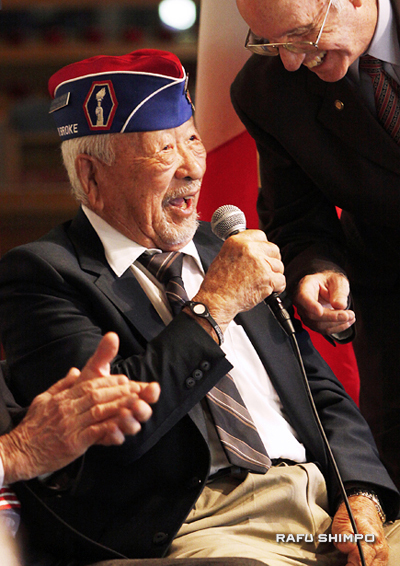 Yamashita joined the 442nd in May 1943 and served as a platoon sergeant first in Italy and then in Southern France. Tsuida served in Company C in the 100th Battalion, 442nd RCT. The Legion of Honor is France’s highest award and is conferred upon men and women, either French citizens or foreign nationals, for outstanding achievements in military or civilian life. Above, Tsuida introduces family and friends in attendance. Yamashita, who was instrumental in the establishment of the Americans of Japanese Ancestry World War II Memorial, addresses the audience. The medals were presented by Fabrice Maiolino, deputy consul general of France.